We are never going back to proprietary networks. Today’s world is all about open—from APIs to partnerships to end-to-end orchestrated services. It's about time. Vendor lock-in is dead. Proprietary specifications are dead. Closed vendor ecosystems are dead. Today’s networks are increasingly defined on de facto and du jour open standards—call it open source, call it open APIs, call it whatever you want. It’s all about openness and collaboration. Vendor consortia are open, as are the many partnerships and pairings between standards-defining organizations. In May, I attended TM Forum Live, the big telecommunications management conference in Nice, France, produced by the TM Forum. Once a bastion of operations support systems (OSS) and business support systems (BSS) for carriers, TM Forum is all about digital transformation and open standards. More than two dozen multivendor interoperability and proof-of-concept demonstrations—which the conference calls “Catalysts”—showed off the power of open source and open standards. But that was only the start. At this year’s conference, TM Forum unveiled an expanded set of comprehensive Open APIs and tools that truly extend networks beyond closed and walled gardens. The APIs encompass everything from customer management to carrier product catalogs to Internet of Things to Smart Cities, and they will enable a huge array of ecosystem partners to begin building and offering end-to-end services. TM Forum isn’t doing this alone. Another standards-defining organization, the MEF<, has entered into pretty close collaboration with TM Forum around some of its key initiatives. The MEF is a big proponent of end-to-end, multi-carrier, internetwork lifecycle service orchestration (LSO)—which it calls “The Third Network”—bringing together inexpensive, ubiquitous services like the public Internet with more deterministic, business-class services like Carrier Ethernet. Meanwhile, TM Forum has its own vision of LSO, called ZOOM (Zero-touch Orchestration, Operation and Management). And guess what? The two groups are sharing their work on SDN, NFV and APIs to make sure their visions are compatible, interoperable and truly serve the industry. It’s all about open source. 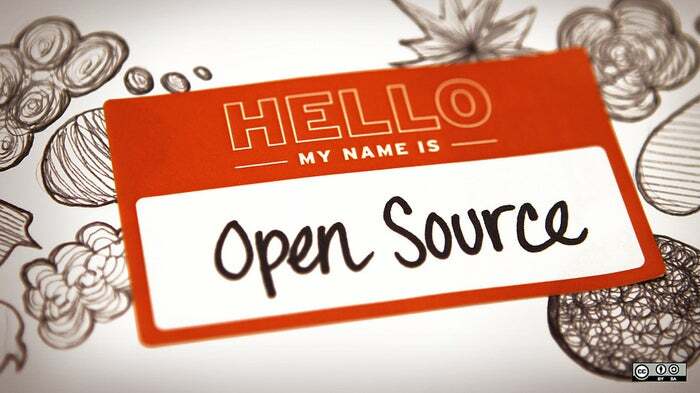 The MEF has, in fact, launched two open source initiatives, one called OpenLSO for lifecycle services orchestration, and the other called OpenCS for connectivity services based on Carrier Ethernet 2.0. Later this year, the MEF is hosting a series of global hackathons to empower—and challenge—its members and the industry to develop projects around OpenLSO and OpenCS. Those projects are done in close collaboration with other open source communities, such as OpenDaylight and OPNFV. OPNFV, by the way, recently hosted its first plugfest—a big event in Louisville, Colorado. It focused on the installation of virtual network functions on multiple hardware platforms using multiple installers. And from all accounts, it was a smashing success, with combinations of installers being tried for the first time—and working on their inaugural attempt. That’s the power of open standards! There was a hackathon called Open Hack at May’s TM Forum Live. I didn’t get to see it, but check out the grand prize winner, Garden Sharing, as well as the two runners-up. Open networking is making a real difference. There will be an LSO Hackathon at this fall’s scheduled MEF16 event, Nov. 7-10 in Baltimore, and that’s one not to miss. If it’s not open, and if it’s not open source, it’s not happening. And that’s the way it should be. At first, the beneficiaries would seem to be the industry: Vendors large and small will be able to innovate and bring products and services to market quickly, at a reasonable cost, by leveraging the open specifications and reference code. Ultimately, however, customers will be the big winners because interoperability will be assured. Nobody will tolerate vendor lock-in, not any more. Open source networking: It’s a beautiful thing. And the time is now.